Melanie and Kyle met the day that she arrived on the campus of North Carolina A&T State University. Kyle worked as an RA in her dorm and stepped in to assist Melanie (along with her mother and sister) with moving into her room. "We talked about both majoring in Industrial and Systems Engineering. Through the next few months, we became best friends" shares Melanie. Their shared chemistry was real - and like all great love stories, the rest was history. Six years later Kyle found himself ready to propose and in anticipation, planned a surprise weekend trip to the Biltmore Estate in Asheville, NC. On Saturday evening, as the couple took a stroll in the lush gardens of the estate, reveling in the beautiful moment, Melanie next asked a woman nearby to snap a photo of the two with her phone. "When I turned around, he was on one knee. I was completely in shock! I couldn't believe he surprised me. I loved the private genuine moment between us and we even got a few pictures!" exclaims Melanie. Location: 4000 Summit Blvd NE, Atlanta, GA 30319. 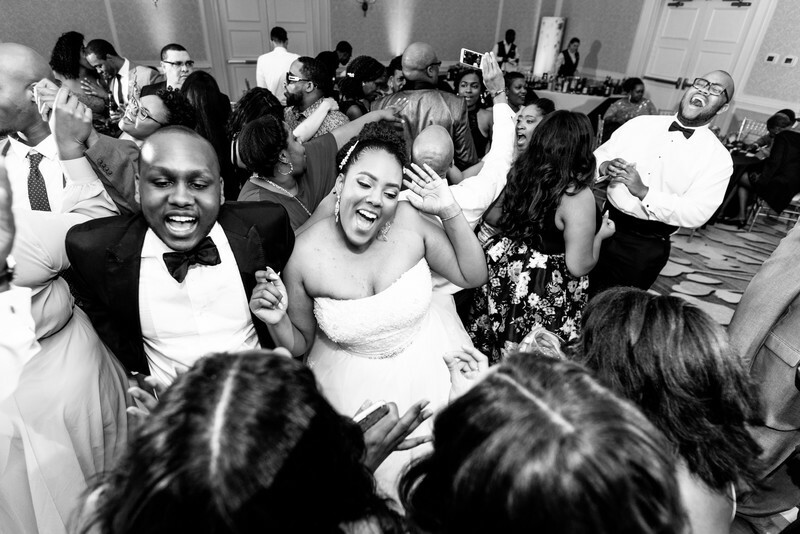 Keywords: Atlanta Wedding (57), Atlanta Wedding Photographer (246), Villa Christina (24).